Natural beauty abounds here, the hillsides are of cork oak, Holm oak, oak and cherry orchards; the steep rocky banks of the Esla River, which runs through the town and its farmland and grazing pastures, add to its charm too. In the mountains there are significant numbers of foxes, roe deer, wild boar and even wolves. We also find eagles and black and white storks throughout the province, even if the latter are more difficult to spot. Muelas de Pan is just 22 kilometers from the city of Zamora, with its 23 temples in the borough and 14 churches in the historic centre, it is the European city with the largest number of Romanesque churches in Europe, small wonder it is called Pearl of the Romanesque in the art world. 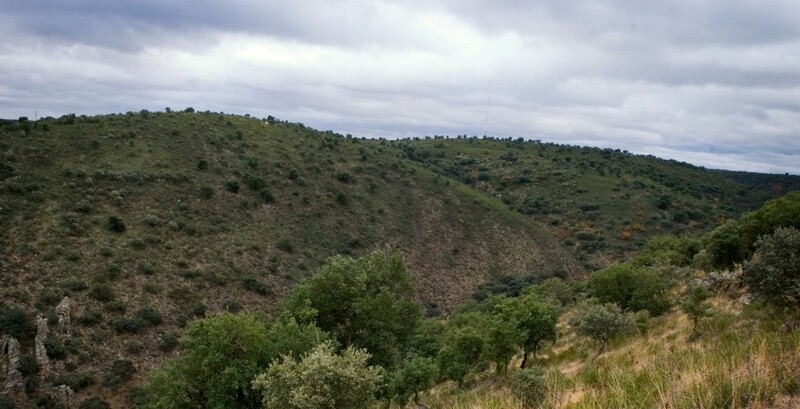 As for open spaces, the Special Reserve for Birds in Canyons del Duero and the Sierra de la Culebra Regional Reserve are especially noteworthy. Walkers can follow the clearly marked paths through this unique natural environment, one of the best is perhaps that which leads to Sofreral, the most northerly cork oak forest in the country. Local and vernacular architecture are worth seeing too, the chapel of St. Stephen, the Ricobayo reservoir… The town has El Alcornocal visitor centre and the Pottery and Archaeology Museum, with a wealth of artefacts from down the centuries. Pottery was important here until the 1930s. Then about 4 years ago, the Pottery Museum ran some courses in which a student, grandson of the last potter in fact, stood out. This young man is currently working shapes and textures in clay, reviving the age-old tradition that should never have been lost. As for the cuisine, inevitably in these lands, meat is the centrepiece: exquisite cuts of beef, from animals raised in surrounding meadows with a good wine from Toro, or the Arribes area to go with it. In Muelas de Pan itself there are country houses, guest houses, bars, restaurants and an inn where you can sample the local cuisine. However, remember that less than 30 kilometers away, is Zamora, where a much wider range of facilities are available. Sources: Information extracted from www.ayto-muelasdelpan.com, www.alcornocal.com, www.tierradelpan.com, www.ayto-zamora.org and Wikipedia.